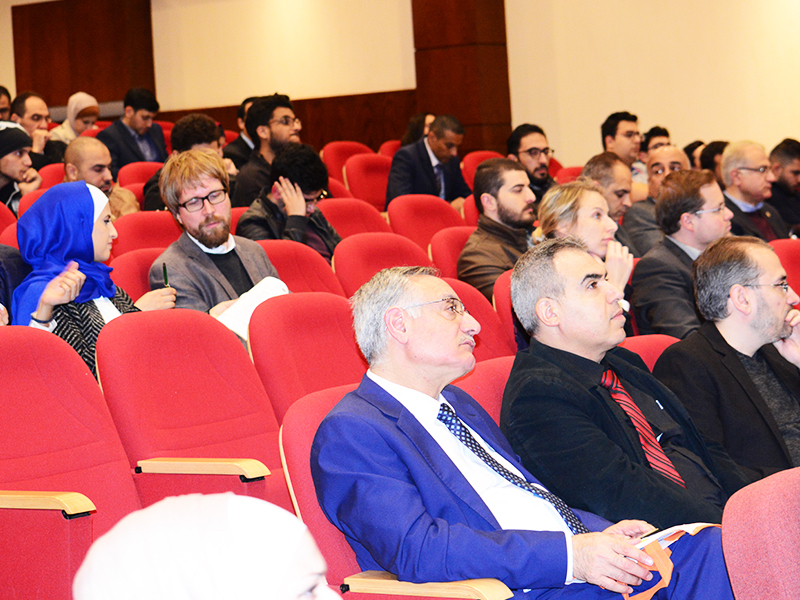 The closing ceremony, held at the German Jordanian University (GJU) in its main campus in Madaba, served to share the results and outcomes of the lifespan of the DESIRE project in the past three and a half year. Members of academic institutions as well as stakeholders from the industry attended to celebrate the successful closure of the project. The closing ceremony kicked off with welcoming words from the president of GJU, Professor Manar Fayyad, who emphasized the importance of this project and the need to build on the solid foundation that has been laid by the DESIRE team. 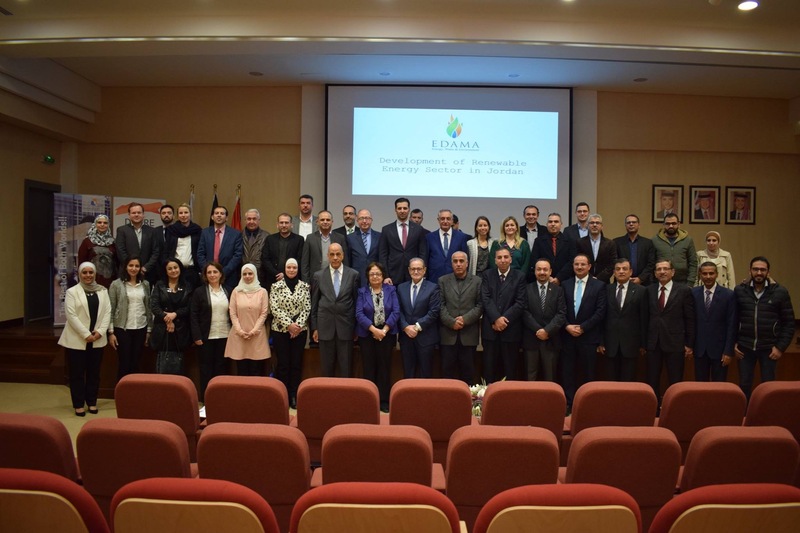 The welcoming remarks were followed by an introduction of the ERASMUS+ projects from the Amman office given by Professor Ahmad Abu El-Haija, director. 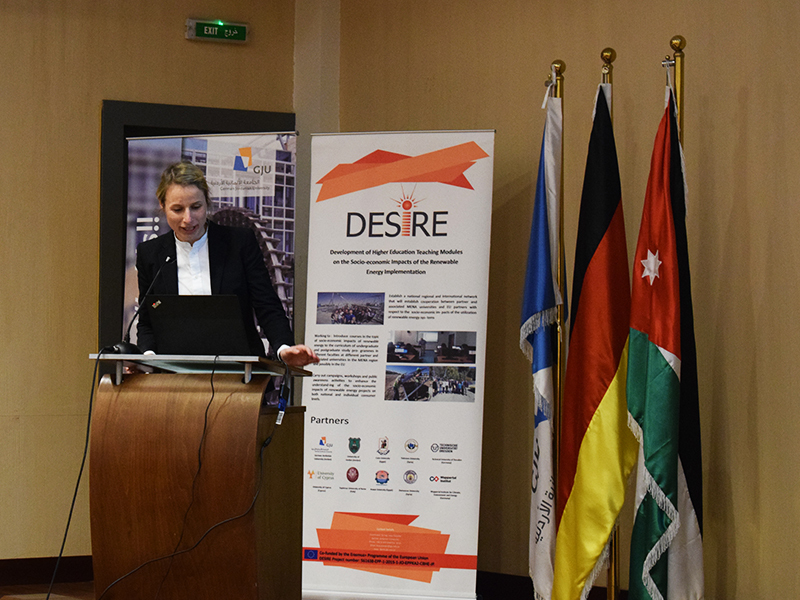 The DESIRE project coordinator, Professor Ala’aldeen Al-Halhouli, introduced the project, its modules and e-learning platform, along with status and outcomes of the project. Two guest speakers, Dr. Louy Qoaider of the Deutsche Gesellschaft für Internationale Zusammenbeit (GIZ) GmbH who was also the former DESIRE project coordinator and Dr. Dureid Mahasneh, Chairman of EDAMA Association. Both distinguished guests spoke about the development of renewable energy implementation and its socio-economic impacts. 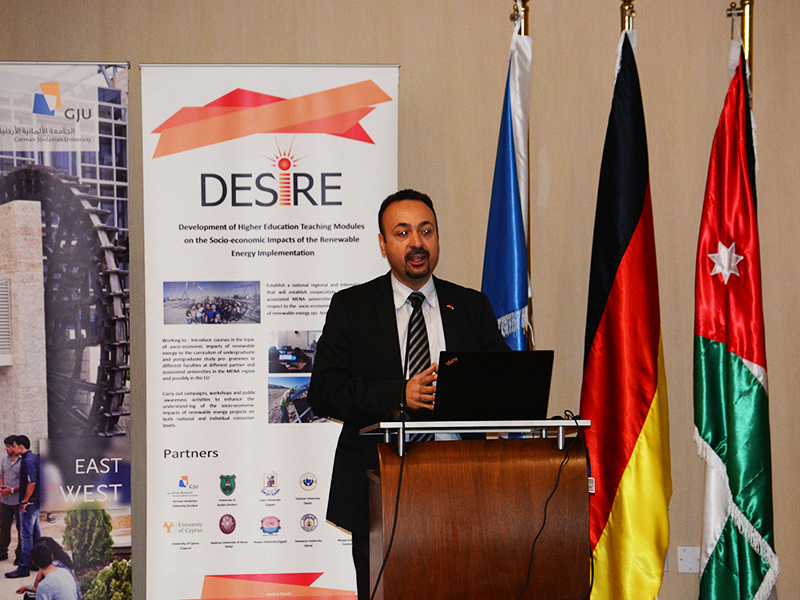 Speakers from the DESIRE team, from the Middle East and North Africa (MENA) region and from the European Union, talked about various related topics. Professor Ahmed Al-Salaymeh of the University of Jordan (UJ): Energy status in Jordan and the socio-economic impact of renewable energy projects in Jordan. Dr. George Konstantinou of the University of Cyprus (UCY): Doubling renewable energy systems until 2030 – the road to social and economic enhancement of a global scale. Matthew Schmidt of the Technical University of Dresden (TUD): Low-carbon energy systems in MENA – unlocking renewable energy systems potential through market liberalization. Dr. Julia Terrapon of the Wuppertal Institute: water-energy nexus – the role of water in the energy transition. Dr. Gabriella Calderari of Sapienza University of Rome (UNIROMA1): The primary role of energy in the sustainable development goals to 2030. Finally, Dr. Mohammad Saeed Aboutrab of the University of Damascus: Renewable energy and sustainability in Syria.